Man vs nature has been a theme that’s fascinated us for decades. As time progresses, it’s truly amazing how new feats continue to emerge. 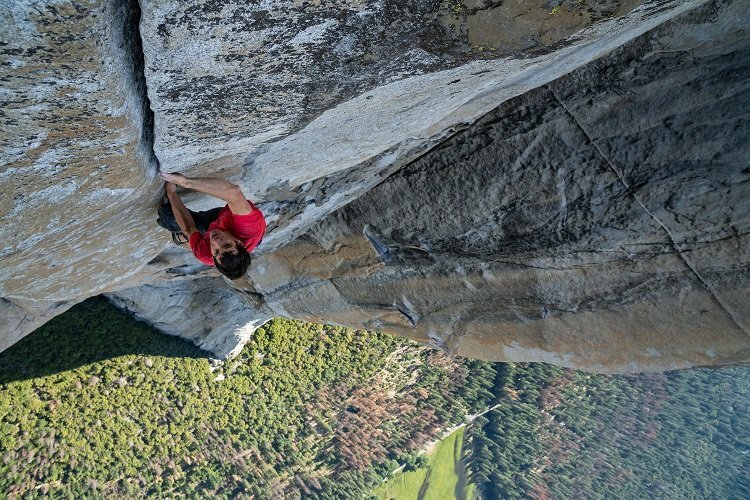 Free Solo, the new National Geographic documentary tells another such story. This one revolves around Alex Honnold. In June 2017, he free soloed (climbed with no ropes or harnesses) the El Capitan rockface in Yosemite. He climbed 3,000 feet of rock with nothing but a chalk bag. One mistake, one slight slip and he’d have been captured falling to his death, as his friends had the cameras rolling. No amount of words will do justice do the bravura of what Alex achieved that day. Despite having seen the film weeks ago and countless interviews since I’m still in absolute awe. I cannot comprehend the iron will and head-space you have to be in to even attempt something like this, let alone successfully accomplish it. I consider it a privilege that this documentary exists. The world gets to witness one of the greatest athletic achievements of our lifetimes from a viewpoint that puts us right there. Free Solo does a good job of showing us who Alex Honnold is as a person. By the time he attempts the deathly climb, you’re fully involved and engaged in his life. This makes the stakes that much more meaningful. I also appreciated how the film laid out the basics of rock climbing in an easy to understand and not too technical manner. This was important to people who know nothing about the sport can appreciate the challenge and magnitude of what was being attempted. The film coasts along at a breezy pace, capturing the two years of preparation that led to the climb. We learn about his childhood, his personality, what makes him tick and really get into his head. His relationship with his current girlfriend is what forms the emotional heart of the film. While I appreciated it, I personally would have liked to see more screen time allocated towards his physical preparation for the climb. The climb totaled around 4 hours. We get a lengthy climax with 15-20 minutes of highlights, but I’d have been happy to see even more of it. 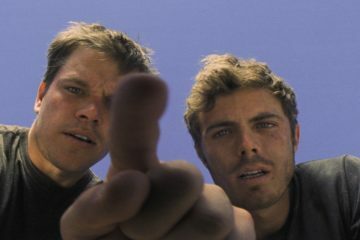 The film’s cast and crew are also largely comprised of professional climbers. This allows them to shoot Alex from a well-informed point of view. They succeed in creating some edge of the seat thrills. The climax will have your pulse pounding and stomach in knots. Free Solo made a lasting impression on me. I’ve spoken about it extensively, recommending it in every film-related conversation I’ve had over the last few weeks. It is a well-made documentary that captures a magnificent achievement. It’s the sort of film that makes me glad that documentaries exist and common folk like me can watch incredible people like Alex do the impossible and feel like we’re there with them rather than just hear or read about it later. Do not miss this at any cost!